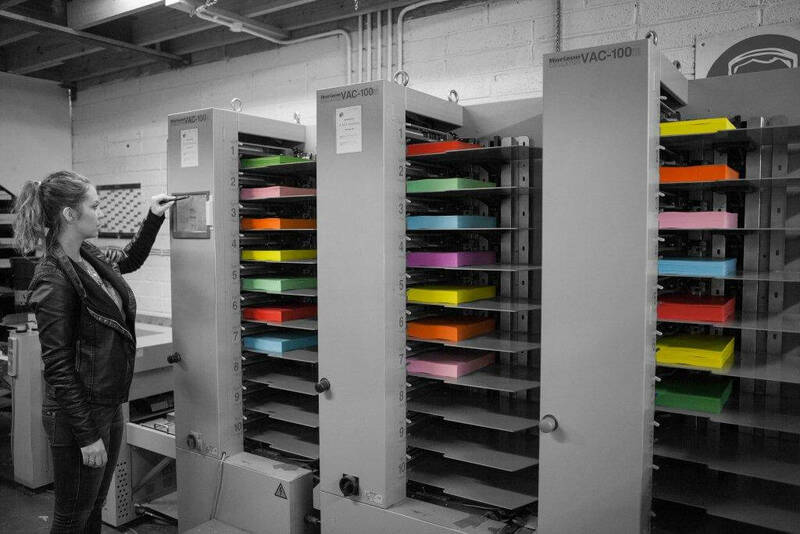 At Shanowenfiles manilla Bespoke is our Speciality, we are Ireland's leading stationery filing producer manufacturing in Santry, Dublin. Here at Shanowen files we have being organising peoples offices for over 27 years. We supply a wide range of quality manilla chart covers and tabbed divider products to Hospitals, Government Departments, Corporate Bodies, Printers and Stationery suppliers nationwide. We pride ourselves in prompt personal attention and manufacturing flexibility which enables us to respond to customer individual requirements. Shanowen Files is a privately owned company established in 1991 set up by Sean and Ann O'Reilly and their son Philip. We offer you an unbeatable and enviable choice of products, backed by continuous investment in plant & machinery and a friendly customer service. We stock a full range of products and welcome enquiries about bespoke files manufactured to our customers requirements and specifications. Shanowen Files Ltd. is Ireland's largest specialist Manilla file manufacturer. If you need advice or help on any type of file, our design department is here to help. Print Management now forms a major part of the business with the legal, finance and stationary industries, as well as health services providers such as private clinics being the main customer base. Consequent to its ongoing commitment to investment, the business continues to benefit from the latest technology combined with traditional skills and steadily increasing capacity to service its current customer base and is optimistic about managing its future expansion. Quality is important to any manufacturer. We emphasise quality throughout each step of our manufacturing process. We also strive to be as efficient as possible so we can offer a competitive price to our customers. Shanowen Files © 2019 All rights reserved.